Do you represent a Utah State Government Agency and wondering how you should archive all your web and social media content? Are you trying to determine what you need to do both from a legal and a technical point of view? Here’s a guide to the different Laws and processes you should follow. 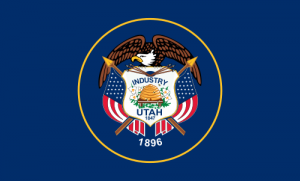 What Laws govern Records Management in the State of Utah? Social media records in Utah are subject to the Government Access and Records Management Act (GRAMA). Enacted in 1991 and effective July 1, 1992, GRAMA replaced the “Information Practices Act” and the “Public and Private Writings Act,” both of which previously governed access to government records in Utah. In enacting GRAMA, “the Legislature expressly recognize[d] two constitutional rights: (a) the public’s right of access to information concerning the conduct of the public’s business; and (b) the right of privacy in relation to personal data gathered by governmental entities.” Id. § 63G-2-102(1). Do Utah Records Laws include Website and Social Media content? Subject to GRAMA, records are defined as, “a book, letter, document, paper … electronic data, or other documentary material regardless of physical form or characteristics that is prepared, owned, received, or retained by a governmental entity or political subdivision”- where all of the information in the original is reproducible. (Utah Code 63G-2-103(22)). Therefore, content on a social media site that relates to transactions of government business is a record and must be managed accordingly in line with regulations and standards set out within GRAMA and the relevant record retention schedules. Government entity includes but is not confined to executive department agencies of the state, the offices of the governor, the State Board of Education,courts, any state-funded institution of higher education or public education; or any political subdivision of the state. “Governmental entity” also means every office, agency, board, bureau, committee, department, advisory board, or commission of an entity listed that is funded or established by the government to carry out the public’s business; and (ii) as defined in Section 11-13-103, an inter local entity or joint or cooperative undertaking. How can we transfer website archives made with PageFreezer to the Utah Digital Archives? PageFreezer exports all data on request in the original file format including the required metadata. This data set can be transferred by FTP or by other means to the Utah State or Agency Digital Archives. Case: The leading pre-GRAMA Supreme Court case of KUTV Inc. v. Utah State Bd. of Education, (Utah 1984) established the roots of open records regulation in the State, finding that “[t]he presumption . . . has always been [in favor of] public access, subject only to specific statutory restrictions, personal privacy rights, and countervailing public policy,” and an agency seeking to withhold information from the public bears the burden to justify its actions.